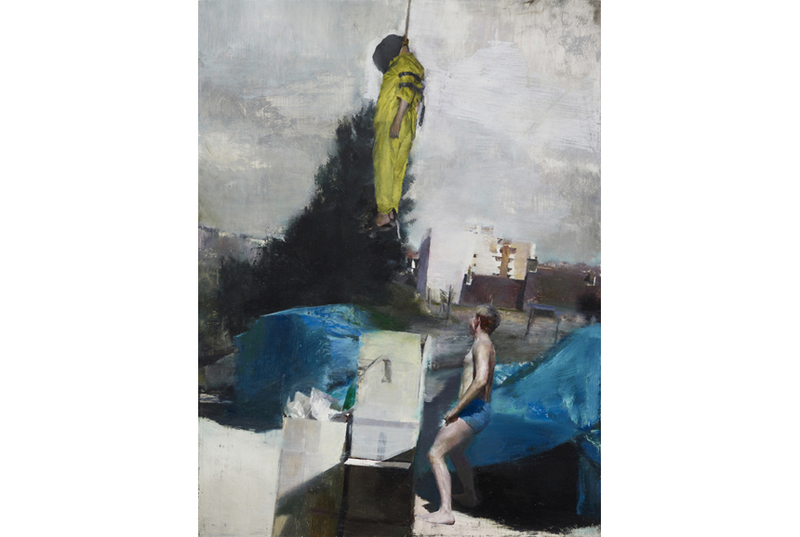 A graduate of the Slade School of Art in the early 1990s, Justin Mortimer is an acclaimed figurative painter based in London who has recently come to significant international attention. 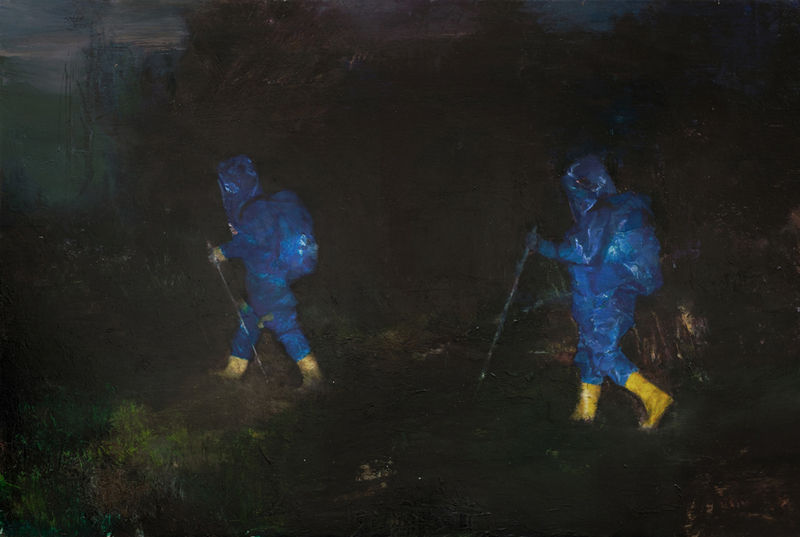 He is represented by Mihai Nicodim, Los Angeles, and had a major solo exhibition with accompanying publication at Haunch of Venison in London in 2012. Mortimer first came to prominence as winner of the BP Portrait Award at the National Portrait Gallery, before going on to win the EAST Award at EAST International in 2004, selected by Neo Rauch and Gerd Harry Lybke. 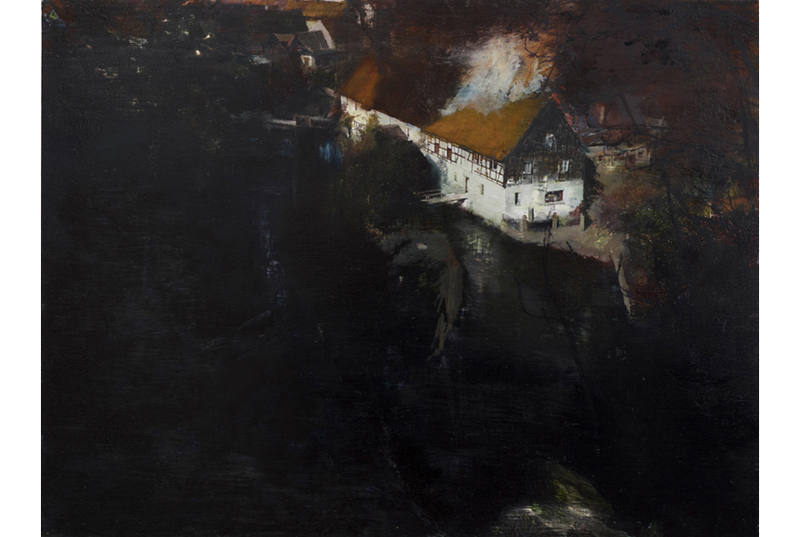 He is now in major public and private collections worldwide and was included in the 2012-13 touring exhibition of current international figurative painting Nightfall (curated by Jane Neal) alongside artists including Karin Mamma Andersson, Hernan Bas, Adrian Ghenie, Victor Man, Neo Rauch and Matthias Weischer. 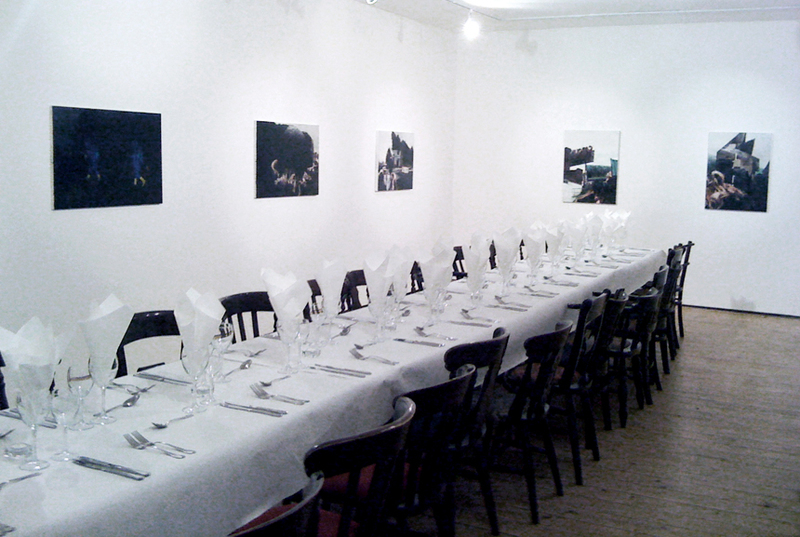 With particular emphasis on the relationships between the human body, landscape and architecture, his practice addresses the themes of pain, suffering, injury and deformity, often in the context of war or armed conflict, though the identity of the protagonists, victims, locations and moment in time always remain unclear. 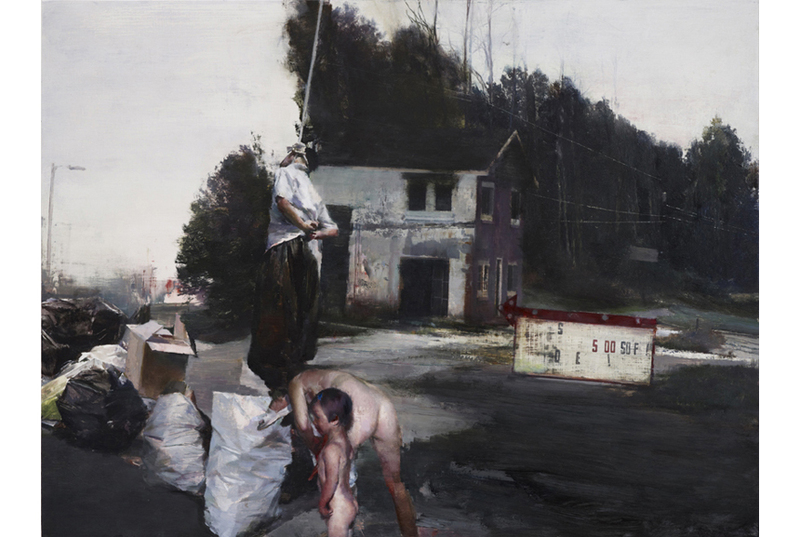 Infused with an equal ambiguity as to what exactly has been taking place, his works are powerful, challenging and disturbing paintings depicting the aftermath of the incomprehensible suffering that humans can inflict on their fellow men. 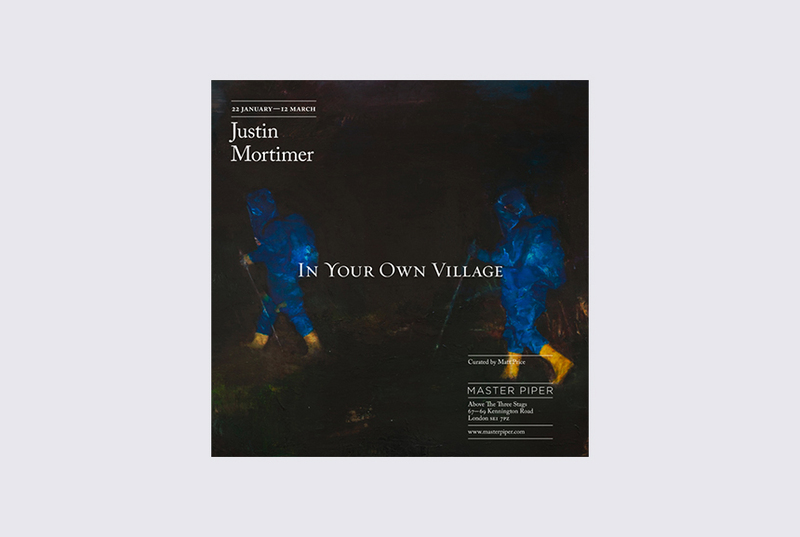 The In Your Own Village exhibition, curated by Matt Price, and the accompanying publication, marked a significant moment in Mortimer’s career.